Talemetry and HealthcareSource Partnership A Sign of Things To Come for Recruitment Marketing Tech? The timing of the announcement that HealthcareSource is integrating its talent acquisition and talent management platform with Talemetry’s recruitment marketing platform was particularly interesting to me. I just returned from the inaugural Talent Acquisition Technology conference in Austin, and the discussion was overwhelmingly about recruitment marketing and candidate experience. Much of that conversation centered around data and how it needs to be discovered, analyzed, and leveraged in all aspects of candidate sourcing, engagement, throughout the hiring process, and across all systems involved in the process. I had that in mind when I connected with Talemetry CEO Jade Bourelle last night to discuss the partnership. While the terms of this deal aren’t going to be shared, I was able to verify a key point that makes this partnership worth looking more closely at, especially if you’re a HealthcareSource customer or healthcare provider thinking about new talent acquisition technology. This partnership is resulting in a significant product integration between the two platforms. The kind of integration that aspires to address the conversation that was happening in Austin earlier this week. One of Talemetry’s differentiators has long been their deep integration capabilities with ATS and core HR. They are integration experts when it comes to providing talent related technology to the Enterprise. Integration was a core product and service offering of theirs as they developed out the capabilities that finally emerged as their current platform offering. Talemetry’s approach provides a level of data transparency and fluidity that impacts usability in a very positive way. This is a smart move for HealthcareSource and Talemetry at a time when talent acquisition leaders are looking for better access to their recruiting data, and integration is starting to take center stage. If these two vendors get this right, it could be an example of things to come in the talent acquisition technology space. In my session at the Talent Acquisition Technology conference earlier this week I unknowingly shared some #HRWINS data points that set the stage for why this partnership has the potential of being a really good thing for HealthcareSource customers and the healthcare talent acquisition space in general. 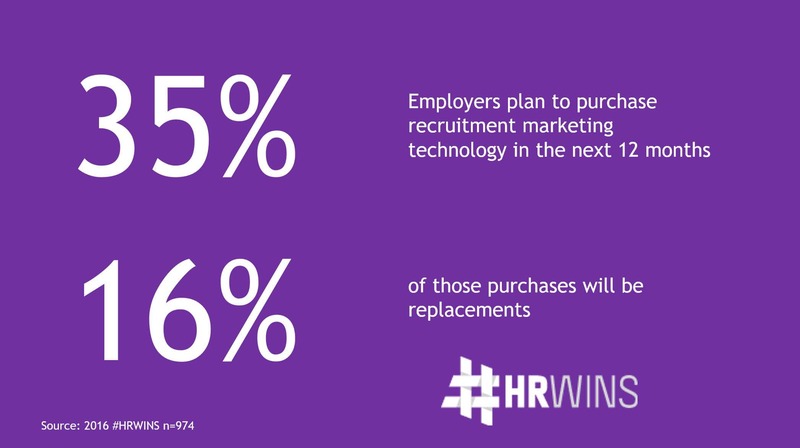 35% of employers are planning to invest in recruitment marketing in the next 12 months. This is incredibly validating for recruitment marketing, employment branding, and candidate experience. Employers of all sizes are investing in technology that helps them do better with, and for, candidates. Of those purchases, 16% represent replacements of existing systems. That number really jumps out at me. It’s an incredible amount of churn. Recruitment marketing is really just emerging as a function within talent acquisition, never mind as a category in recruiting technology. So, why the replacements by, what most would deem, the early adopters? Employers identified usability and limited features/functionality as the top two reasons recruitment marketing is being replaced. My guess is that this is driven by both the pace of new capabilities coming to market and talent acquisition teams becoming more sophisticated with regard to marketing. Simply put, it was early for recruitment marketing and recruiting teams better understand what they need, and vendors are quickly developing to fill that order. Employers biggest overall challenges, with their entire HR technology “stack”, are integration and gaps in data/automation. Most employers use a staggering 16 to 24 applications, platforms, and “apps” across their overall HR tech stack. While it’s a big number, it’s consistent with what I see in the field and in other analyst reports. And, I don’t see the number getting smaller in this mobile-first world we live in. 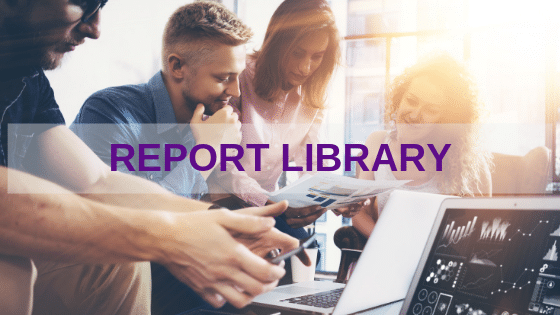 Employers will continue to use platforms for specialized systems of record and best-in-class applications for the features they really need. That’s where this gets really interesting. Employers have made it clear – they don’t want to entertain the argument for, or against, platforms or point solutions. They want both and they want their data to be as fluid across HR and recruiting technologies as it is in other aspects of their enterprise, and in their personal lives. We’re seeing traditional platforms start to be more specialized by market segment (SMB, Middle-Market, or Large Enterprise), by industry, or both. We’re also seeing point solutions proliferate and align via integration ecosystems in much the same way – by segment and market. I would expect to see more partnerships like this one, and even more so I would expect to see some of the up and coming recruitment marketing solutions get acquired in 2017. NextHR MarketWatch Podcast: Can You Correlate Employee Engagement To Business Results? Guess Who’s Buzzing About HRTech? So, You Want To Be The New HCM Tech Market Leader?